Jammu and Kashmir Public Service Commission JKPSC Lecturers Recruitment in various disciplines J&K Govt Dental College. 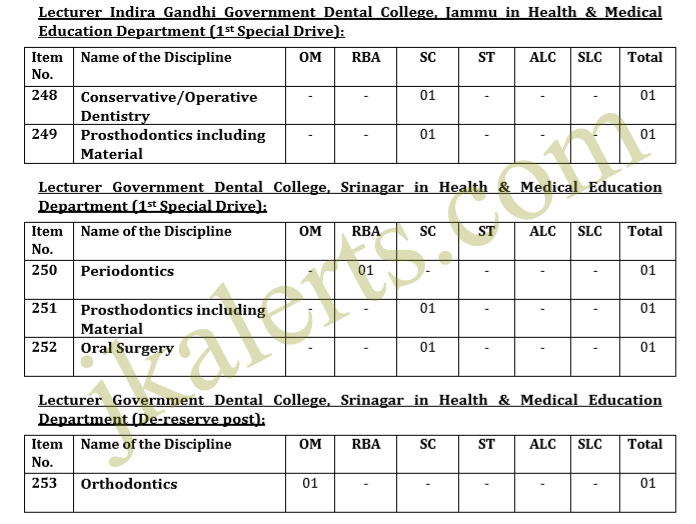 Department: Indira Gandhi Government Dental College, Jammu, Government Dental College, Srinagar in Health & Medical Education Department. Qualification Master’s Degree or equivalent in the concerned specialty recognized by the Dental Council of India. Pay Scale: Rs. 9300-34,800 G.P of Rs.5400/- Now revised (level-9) 52700-166700). c) Last date for submission of hard copy of Online submitted form = 30.10.2018 along with all relevant documents.